5. If you love all things Pan Am – Pan Am was truly a pioneer. If you’re into waxing nostalgic about the “good old days” of Pan Am, you’ve come to the right place. Be prepared to walk down memory lane and be transported back to a time when flying was considered glamourous. 4. 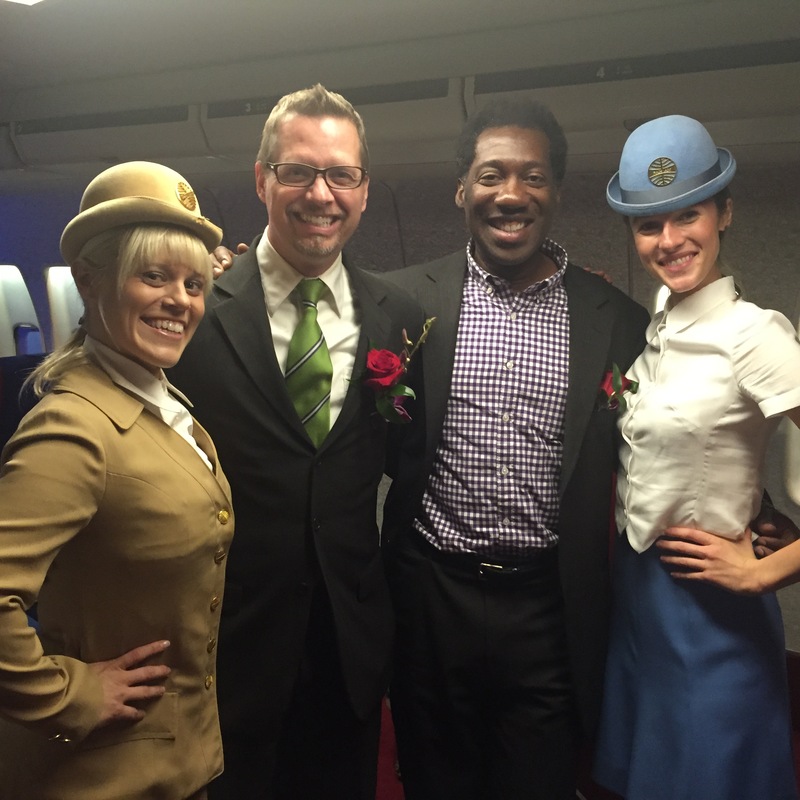 If you like to time travel – Being on board for Pan Am Experience was truly like stepping back in time. Every detail was meticulously recreated to give you the sense of what it was like to fly on a 747 back in the 70s. The seats, the galleys, even the clipper appliqué on the wall. 3. If you’d like to meet a real Pan Am stewardess – On our flight was Barbara. She flew with Pan Am during the heydays. She was there to provide background and answer questions from the passengers about Pan Am. She was lovely and shared stories from a wonderful time in aviation history. We even played a game of “do you know…” And she knows someone that we know, who is a former Pan Am stewardess. The world is truly a small place. The “stewardesses” who served us were models, actresses, and dancers. In other words, they have day jobs. They were a fun bunch and brought lots of good energy to the experience. This is something that they do because it’s cool and allows them to experience something different. This era of flying was at least 25 years before they were even born. 2. If you’d like to meet someone who has taken “avgeek” to another level – Anthony Toth served as the “Captain” of our flight. This captain worked behind the scenes assisting the stewardesses in providing a seamless experience. Not only was he in the galley preparing meals, he answered questions after the flight. Anthony has over the years put together a huge archive of Pan Am memorabilia. He informed us that his collection now has upwards of 50,000 Pan Am items. A good selection of the collection was on display in the lobby of the “terminal”. The majority of the collection is kept behind the scenes and is used during the flight. 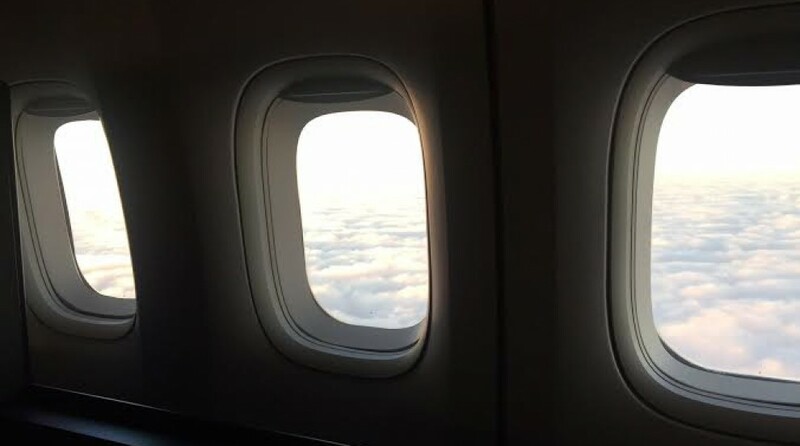 To see more pictures from our flight, click here. This entry was posted in Uncategorized and tagged 747, air hollywood, airlines, airplanes, avgeek, avgeeks, aviation, aviation friends, boeing, crewlife, flight attendants, golden era, Pan Am, pilots. Bookmark the permalink. I remember Juan Tripp, 🙂 I might be able to squeeze. Into my 80s uniform if needed for this adventure. Do you really remember him? If so, COOL!